Situated at the end of a No-Through road and on a large 891sqm allotment is this 3 bedroom family home. Currently tenanted until 14/01/2011 at $300 per week, everything's already in place. No need to lose valuable time trying to secure a tenant. 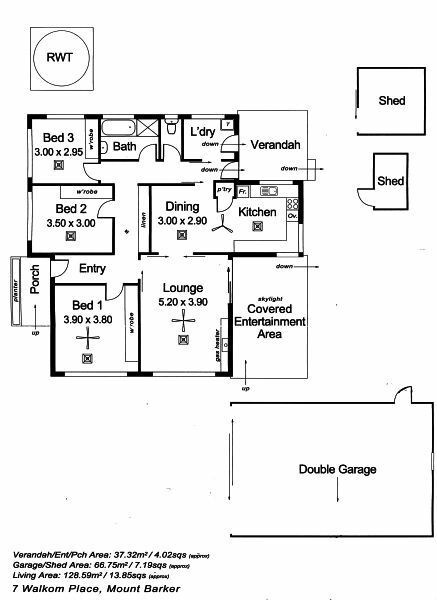 The home features ducted reverse cycle air conditioning throughout, 3 bedrooms (all with built in robes), spacious lounge, separate dining adjoins the kitchen which features an abundance of storage. Outside features include a fully fenced rear yard with 2 garden sheds, a paved undercover entertaining area and huge garage/shed with concrete floor, power and excellent street access. Great location adjoining Cornerstone College, only a short walk to public transport and easy access to the freeway.... and no passing traffic! This property is zoned Residential Medium Density and has the potential for further subdivision subject to council consents.